Maroon 5 have long been a name that goes hand-in-hand with a sigh. Since their jump to making pop music and identity as ‘Adam Levine and his backing band’ (I dare you to name another of the six members off the top of your head), they’ve had a long string of successful, inescapable, yet still critically panned hits. They’ve released some of the most underwritten pop songs of recent years (certainly in comparison to songs like She Will Be Loved or Sunday Morning from their acclaimed debut Songs About Jane), that also happen to be some of the catchiest. Sugar, Moves Like Jagger and Animals as a trio are a good representation of how they can encompass both extremes to varying success. Don’t Wanna Know (feat Kendrick Lamar) and Cold (feat Future), already-released singles assumed to be promoting new album Red Pill Blues, only appear on the record’s deluxe version. With 10 completely new songs, a title with meninist connotations and one of the worst album covers of the year on top of the collective decreasing faith in both the band’s motives (i.e, having at least one more on top of making money) and ability to write credible songs, this may be an album that comes with absolutely no surprises. And as a premise, no, there are no surprises. This is Maroon 5 following the same model they have for years – following whatever’s popular to make cash. Obviously as many featured artists as possible (after assumedly blowing a whole lot of money on the Kendrick Lamar / Future collabs) are on the record in true Maroon 5 fashion, with A$AP Rocky, SZA, Julia Michaels and LunchMoney Lewis all receiving an ampersand before their names. Some fare better than others, with What Lovers Do and Help Me Out (featuring SZA and Julia Michaels respectively) both acting as catchy album highlights. Whiskey with A$AP Rocky is just another throwaway track to put on the ever-growing pile of “Maroon 5 and -insert rapper here- collaborations” while LunchMoney Lewis is a flash in the pan on Who I Am. On the whole, there aren’t many songs on Red Pill Blues that have too much substance to them apart from a slightly catchy hook, and certainly no originality behind many ideas. Obviously fame and status are the main reasons this album – and every one of their releases since 2010 – exist. Maroon 5 albums act as time capsules for whatever musical devices are trendy at the time. Their sound changes and evolves way too quickly for any of it to be an organic decision on the part of the whole band. Said devices are shoehorned into their sound to sell. On this album, there are trap beats galore, Adam Levine’s voice (which is still an asset any band would be lucky to have) providing vocal hooks through jerky samples as well as actually singing, and a Daft Punk-inspired funk vibe surrounding guitars, particularly on opener Best 4 U. Lyrical content is tired and limited, as if Don’t Wanna Know didn’t already scream that. Levine takes on either a playa character, lovesick fool or master of seduction, and they’re all a bit cringeworthy. It’s nothing new or exciting, and neither are cliched ways in which any persona is presented. You’ve heard all these lines before, and probably even from Maroon 5 themselves on previous releases. The most original thing on this album is the 11-minute-long (!!!!!) closer Closure. It’s a pretty much a normal Maroon 5 for the first three minutes, underpinned by a looping funky minimalistic guitar line. But the following eight are underpinned by the exact same line with no vocals on top. Other instruments like a saxophone and piano come in, but they’re turned down so low in the mix that the guitar line – which gets boring at the two-minute mark, never mind at nine – is the main focus. It sounds like something that’d be played in a tapas bar, made to be talked over while people eat their patatas bravas and seafood and definitely not to listen to at leisure. The sentiment is to be appreciated (this certainly isn’t going to appeal to the teenage girl fanbase Maroon 5 usually attract), actually branching out slightly and making use of the seven musicians in their arsenal is what so many have been crying out loud for them to do for ages. But frankly, this isn’t anything anyone’s going to listen to. The middle-aged couples who’d play something like this at their dinner parties wouldn’t even think to listen to a Maroon 5 album. The move aside from the sentiment is so out of leftfield it’s laughable. So yes, closer aside, there are no surprises on Red Pill Blues. It’s just tracking Maroon 5’s journey attempting superstardom as their skills get less and less unsharpened. Even the catchy, somewhat likeable songs on this record, What Lovers Do and Help Me Out aren’t fully-fledged hits because they’re too simplistic, the former in its chorus made up of vocalising and mostly incoherent lyrics especially. Having features from two genuinely promising rising stars is probably the reason these tracks stand out in the first place. The thing is, though, that Maroon 5 can continue following this overtly formulaic, completely lacking in artistic merit pattern and still be rewarded with arena tours, spots on talent show judging panels and million-dollar incomes. They’ll be fine. But listeners will still be asking one question like they have for years – how can a band who changes it up so much be so boring? 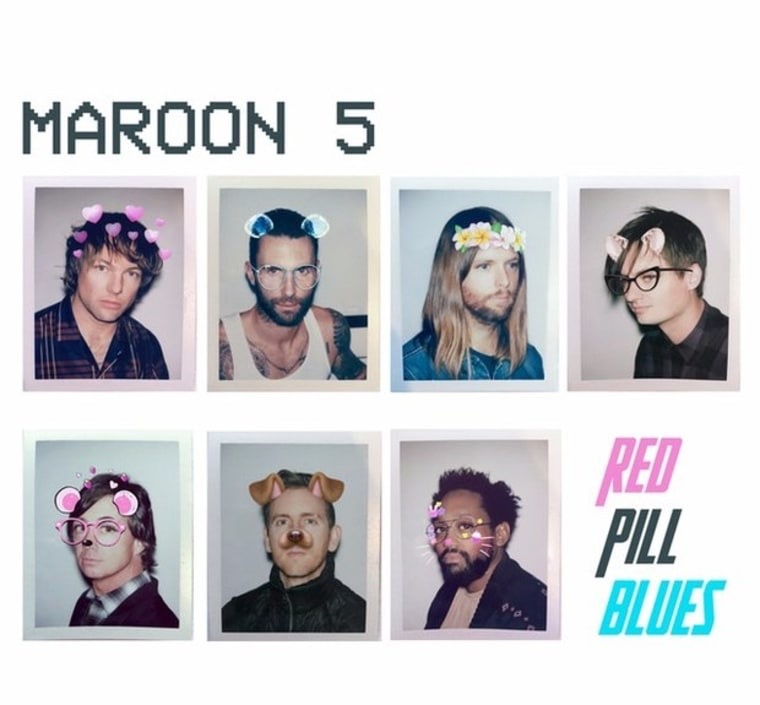 ‘Red Pill Blues’ by Maroon 5 is out now on Interscope Records.